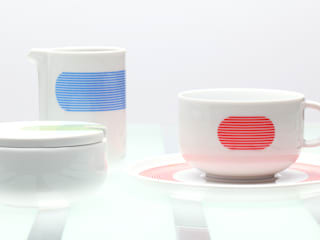 Modus Design was established in 1976, originally as a ceramic studio founded by Marek Cecuła in SoHo, New York. 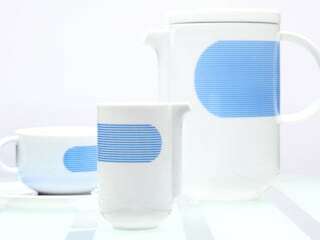 For years it had created applied and decorative ceramic design alternatives. Ceramics shaped by Modus Design encourage private daily ceremonies and offers new ways of arranging the landscape of the table. Modus Design is based now in Kielce from where it implements projects of local, national and international reach. Since January 2013, it strictly collaborates with Polish Porcelain Factories “Ćmielów” and “Chodzież” where Cmielow Design Studio was established under Marek Cecula leadership. 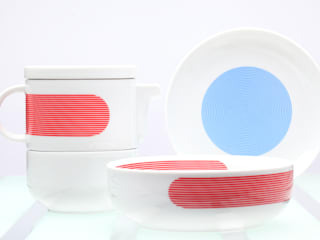 This unique set up initiates the “artist in industry” program and revives the tradition of cooperation between artist and industry in quest of a new ceramic product. It is also dedicated to the experimental development and adaptation of new technologies for innovative usage in industrial production. Our aim is to express and infuse contemporary spirit into the noble material and to continue exquisite craftsmanship in porcelain art and design. MAREK CECUŁA is a world-renowned artist, ceramicist, educator and curator. He is the recipient of numerous prestigious awards. Cecuła spent his first 16 years in Kielce, Poland, before emigrating to Israel. He moved to Brazil 12 years later, followed by a move to New York City in 1976 where he set up Modus Design Studio and the Contemporary Porcelain Gallery. From 1985-2004 he was Head and Coordinator of the Ceramics Department at Parsons School of Design in New York and from 2004-2010 he was Visiting Professor at the National Academy of the Arts in Bergen. In 2012 he opened Design Centrum Kielce and a year later, the Ćmielów Design Studio. He currently holds the post of Visiting Professor at the Royal College of Art, London.